This post is dropping while I am at Disneyland celebrating my daughter's 14th birthday and 8th grade graduation. It seemed fitting to repost this since this song was written for her. "To Heaven" comes from Rain Station's Stonedozer CD (as some or many of you may know). 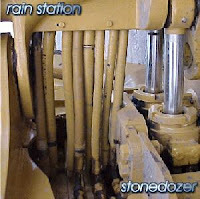 I still think Stonedozer is some of the best music Jay and I have ever recorded and although I really like Underground (and DARK RIDE is a hoot), I think Stonedozer really captures everything that Rain Station is. The disc just sounds so good to me. It has a good mix of both Jay's and my vocals, musical influences and it really feels connected in so many ways (mentally, physically, spiritually). That may be why I love this one so much. "To Heaven" always wells me up when I listen to it. This song was written with so much love and at a time when I had just become a Father for the first time. Being a stay-at-home Dad was a real blessing, one that at times I wish I had with my other two kids. The involvement I had during the first few years of my daughter's life is irreplaceable. Over 14 years have passed since this song was recorded. 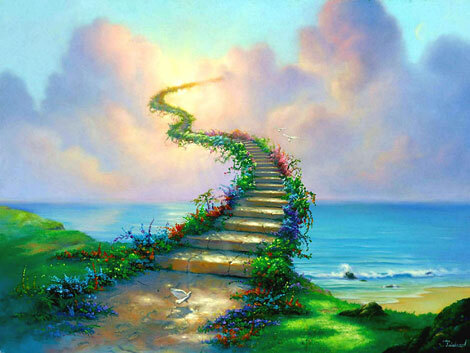 "To Heaven" takes on new meanings with certain world events. I love my kids so much and feel blessed to have them in my life. They truly take me to heaven when I look into their eyes - they are my angels here on Earth. There is a certain spiritual bend to the tune (obviously) which I don't apologize for. I was raised to believe in God and learned to allow others their own belief system without judgement or criticism. I wrote, produced and performed this song with backing vocal help from my sister Beth and Idia Huntley. I still keep looking for Idia, but haven't found her - her voice adds such magic to the track. Happy birthday to my daughter. Your Father loves you!